How are all of you?Another weekend is over.I have been pretty excited over the weekend….Any guesses WHY!!! I have bought two O.P.I Shades & I am telling you its the first time I have bought & invested in O.P.I Nail Lacquers. So as you girls must be knowing This summer is all about NEON Shades like Neon pink, purple, yellow, orange, and even green. 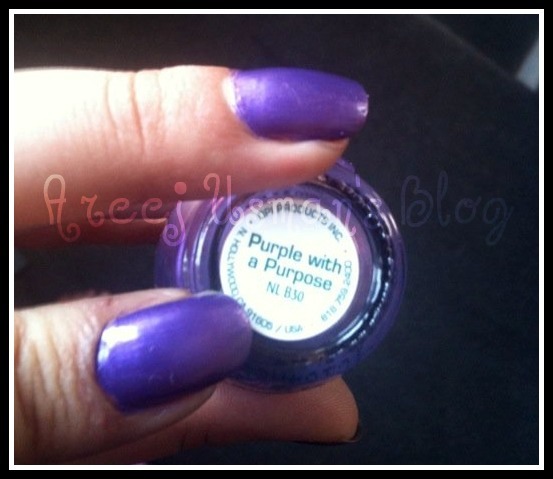 Its the shade called Purple with a Purpose from O.P.I & its a perfect Neon Purple for me. Its a Bluish based purple with hints of pink shimmer in it.I have applied 2 coats of this nail color without a base coat or a top coat still it gives the effect of a top coat due to its shiny finish.It dries really quick.As soon as i ended up doing the next nail the previous nail coat had dried.It was really surprising how quick this dries as compared to other Nail colors without getting messy at all.The applicator brush is really good and does its job in a good manner.Overall I am in Love with O.P.I & I would always want to invest in it once in a while. 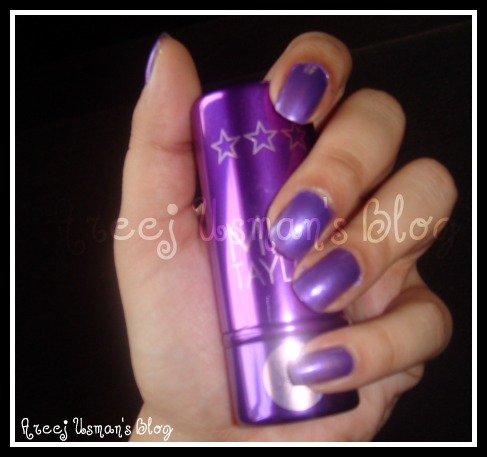 Though its somewhat expensive compared to other drugstore brands but then it is O.P.I ! For the Girls of Islamabad: You can now access the O.P.I Counter at D.Watson Blue area & choose from its good enough range.I got this from there for Rs.825/-. Ok Girls so tell me which shades you hace tried and which is your favorite O.P.I Shade.